Dan, becky and Emma have one thing in common...they just died. Were they ready? The Shock of Your Life is a book that will change your life. The question of whether there really is a heaven and hell is answered here. Are you a Red-Hot Christian? A lukewarm Christian? or maybe you've never even considered Christianity..well, this book is for you. Read it for yourself and be shocked to your core. Shock of Your Life Revised Edition by Adrian Holloway was published by Kingsway in August 2007 and is our 13764th best seller. 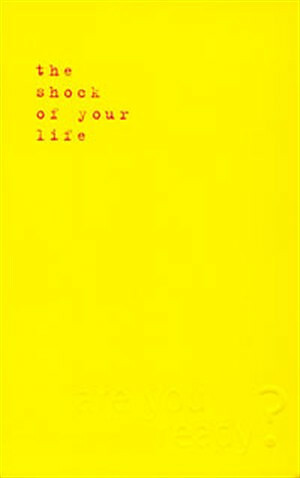 The ISBN for Shock of Your Life Revised Edition is 9781842913468. Be the first to review Shock of Your Life Revised Edition! Got a question? No problem! Just click here to ask us about Shock of Your Life Revised Edition.